Comments: This spring flowering tree makes a strong presence in the garden when it is in full bloom. In the Lower South flowering peach trees are relatively short lived. They normally do not receive enough cold temperatures to satisfy their dormancy requirements. Provide full sunlight and a well drained soil for all members of this genus. 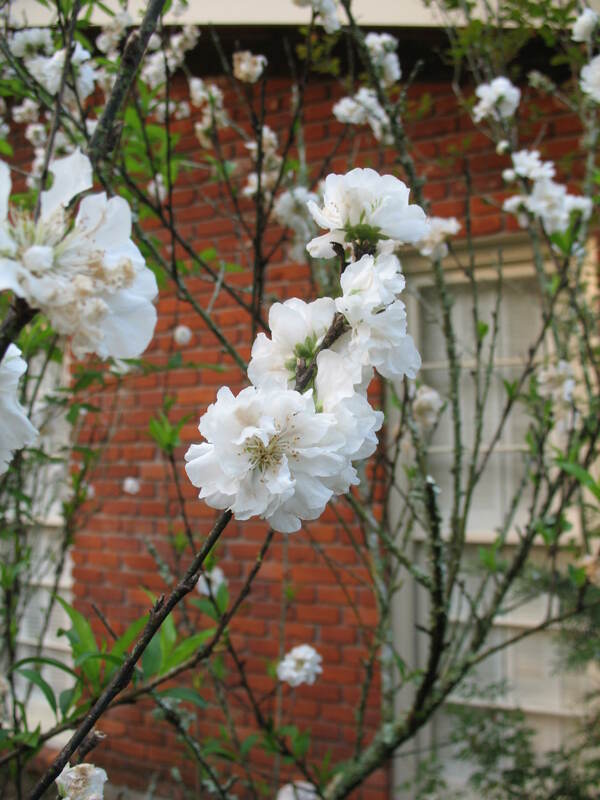 The double white flowers are the primary features of this tree. Insect and diseases can pose problems for the flowering peaches.